Festive atmosphere at the Gift&Promo Fair and AdPrint 2018! On 20 September at the Boulevard Hotel Baku started the 1st Azerbaijan International Advertising and Printing Exhibition AdPrint 2018 and the 1st Azerbaijan International Gifts and Promotional Products Fair Gift & Promo Fair 2018. 26 companies from 9 countries are taking part in the exhibitions. The exhibition was preceded with the briefing by Executive Director of the CEO, Bahruz Hidayatzadeh, who noted the relevance of these events and stressed the development of the promo industry in Azerbaijan. At AdPrint 2018, the advertising business in all its forms and varieties is represented by leading companies from Azerbaijan, Russia and Japan. 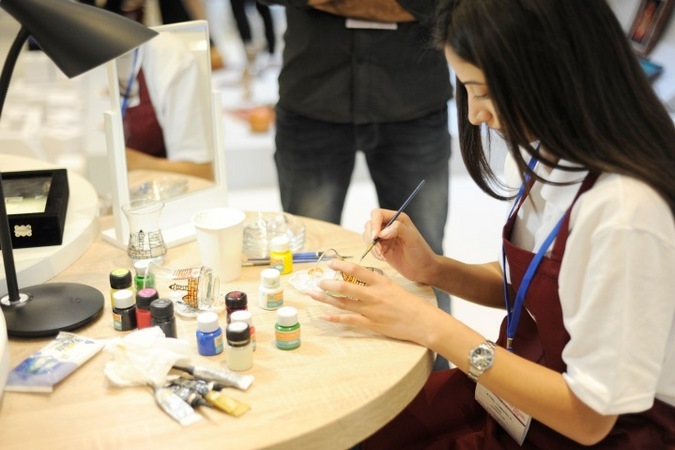 In addition, local companies demonstrate world-famous Turkish, German, Italian and Chinese brands at their stands. Among the products and services offered are scanners, software for printing and processing services, professional printing equipment for offset and digital printing, Flexi Capture software, IT technologies, office equipment, typographic and printing services, all kinds of equipment and peripherals for digital, textile, large format and 3D printing, etc., stand installation, textile equipment, souvenirs, POS and advertising materials, as well as promotional products, professional printing equipment and many more. 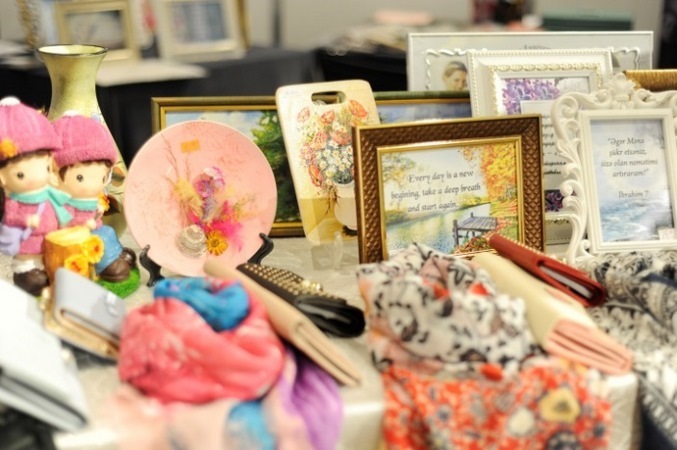 The Gift & Promo Fair 2018 presents a huge assortment of souvenir products in various categories, while showcasing the latest global trends in gift products, home decor items, tableware, festive products, business gifts, corporate giftware, jewellery, etc. Companies from Azerbaijan, Germany, Indonesia, Kazakhstan, China, Russia and Ukraine take part in the Gift & Promo Fair 2018. A number of participants at the exhibition conduct master classes. Participants present their creations in promotional products, gifts, gift boxes, leather products, including but not limited to folders, boxes, bags, wallets, and all kinds of souvenirs and textile goods such as T-shirts, caps, jackets, scarves, flags and much more. Visitors can get acquainted with original solutions for business gifts, hand-made products and exclusive ideas for corporate gifts. The exhibitions are accompanied by an interactive business programme. 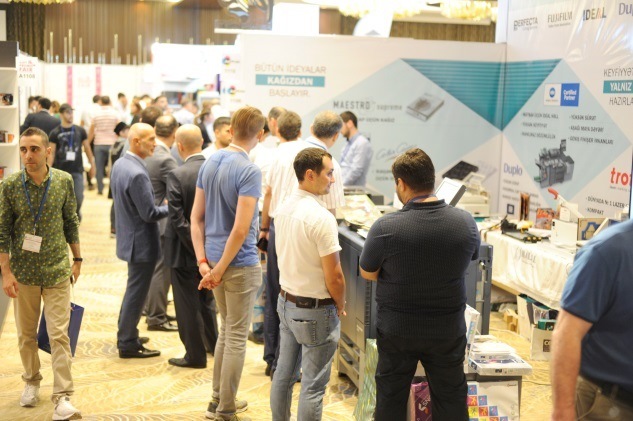 Thus, on the first day of the exhibition, B2B meetings were organised between exhibitors and potential customers and debates took place, where the main speakers were the customers. Official support for exhibitions is provided by Small and Medium Business Development Agency of the Republic of Azerbaijan, Azerbaijan Export and Investment Promotion Foundation (AZPROMO) and National Confederation of The Entrepreneurs (Employers) Organizations of Azerbaijan Republic (AEC). The organiser of the exhibitions is Caspian Event Organisers (CEO).